“Achoo! !” was H’s first word on Sunday. 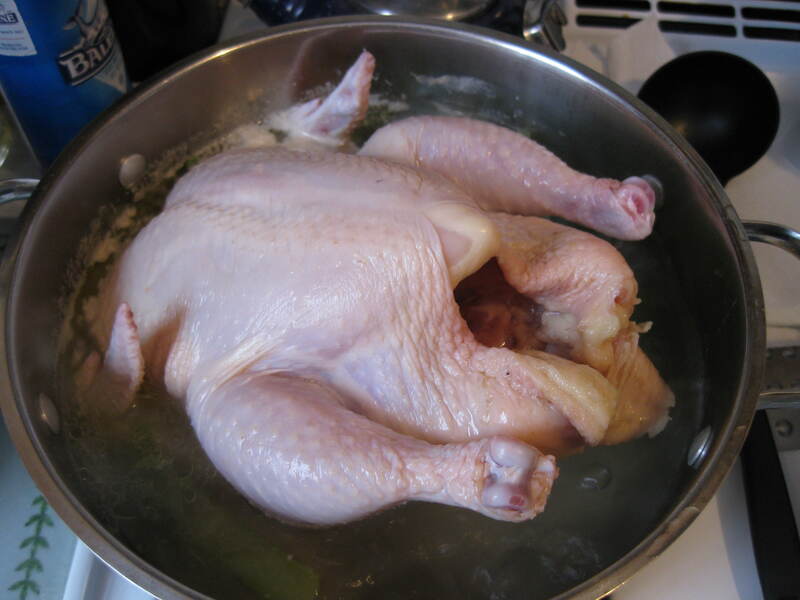 In response, chicken soup hit the agenda and ingredients were purchased. H turned to his tried and true recipe, which calls for two chickens! 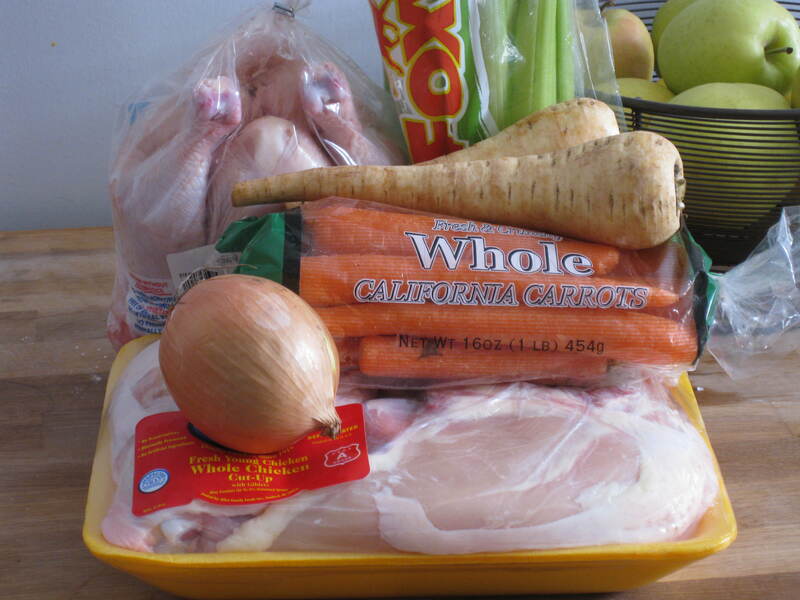 (one whole chicken and one package of chicken parts), plus exciting vegetables like parsnips. I had no idea how to spot a parsnip and needed to google. Do you see them? I already had plans for the morning so I bought the soup necessities and told H I’d cook it when I came home (bad wife, I know). However he had a different idea and began working right away. Like a sweet H, he took some pictures for us to enjoy. Spot the chickens? 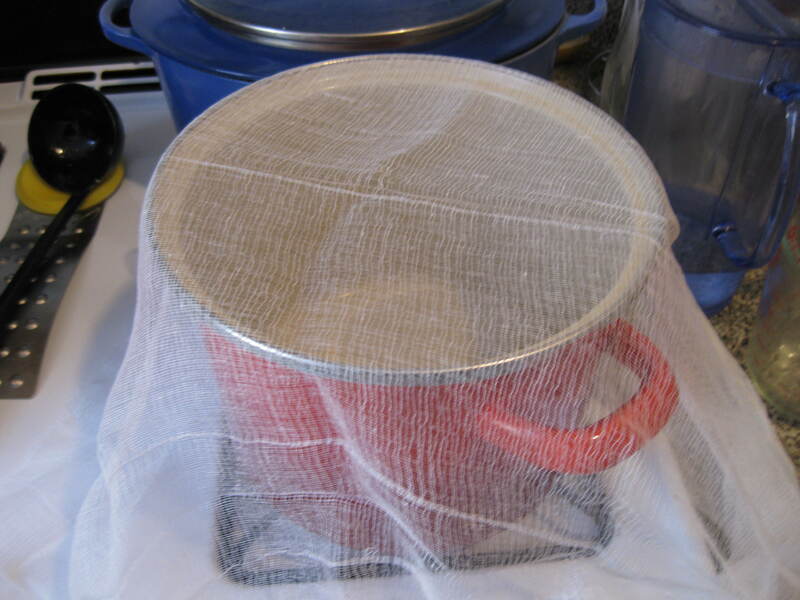 To me, the cheesecloth is most mesmerizing. Has this beautiful, ghostly quality to it. How did I find a man who knows that cheese-cloths exist, let alone know how to use one? Apparently H took the silver pot of soup and poured the broth into the red one. The cheesecloth strains the fat while saving the goodness. 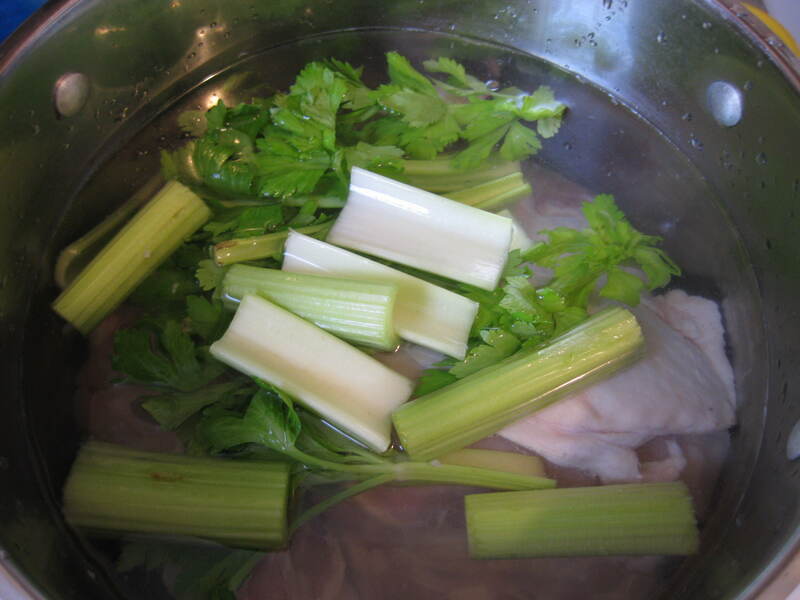 Once you have your broth, you can add whatver garnishes you desire, such as cooked carrots or chicken. 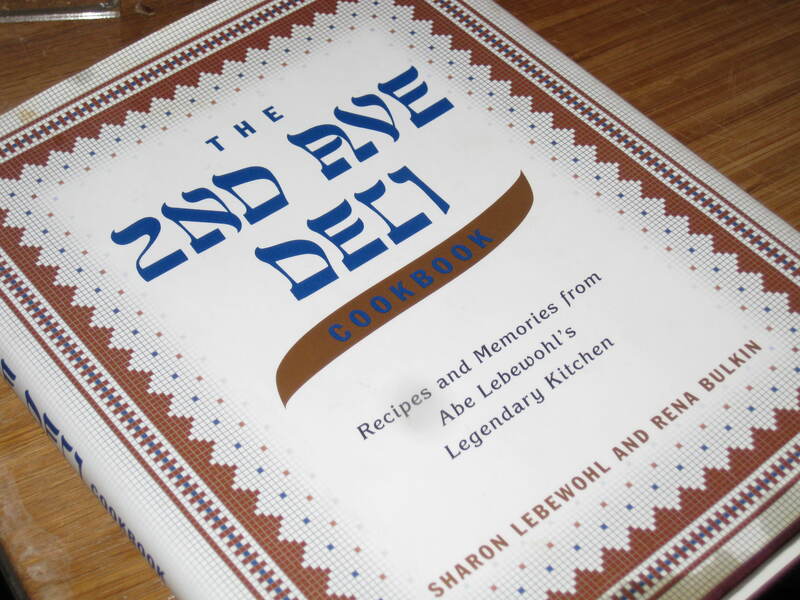 I haven’t made many recipes from this book but I definitely recommend it if only for the soup. Absolutely delicious and warms your heart in all the right places. Perfect for a rainy day or one filled with a few sniffles. Enjoy! Did you know that you can create pastry flour by combining cake and all-purpose flour? 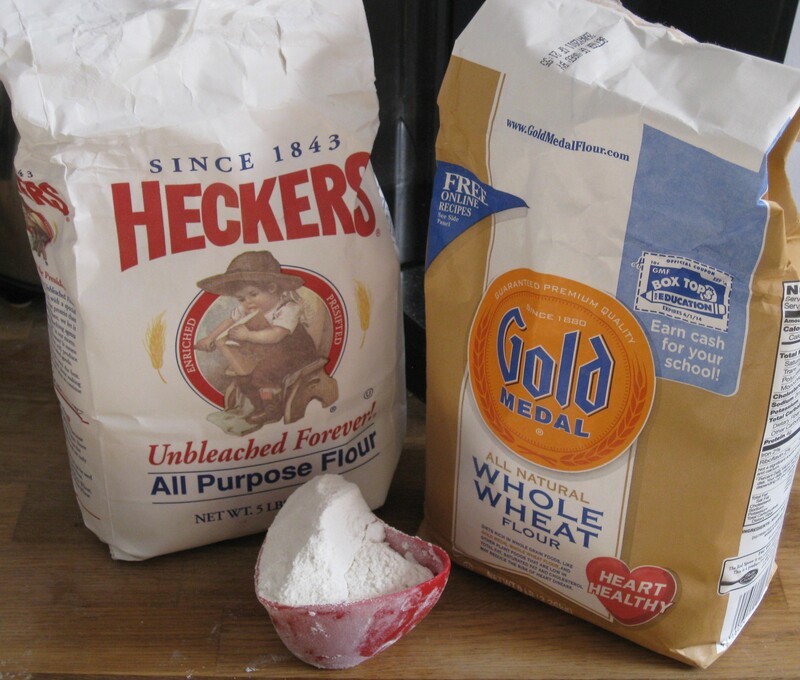 Bleached flour is a white flour treated with flour bleaching agents to whiten it (freshly milled flour is yellowish) and to give it more gluten-producing potential. Oxidizing agents are usually employed, most commonly organic peroxides like acetone peroxide or benzoyl peroxide, nitrogen dioxide, or chlorine. A similar effect can be achieved by letting the flour oxidize with oxygen in the air (“natural aging”) for approximately 10 days; however, this process is more expensive due to the time required. I am going to guess the answer is no, and unbleached is fine. 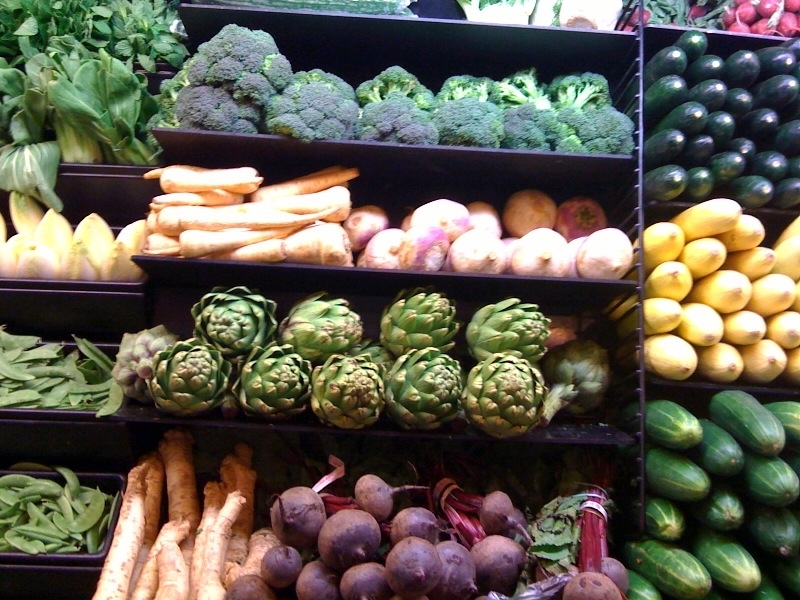 Do I really need more gluten in my food? The unbleached variety tends to work well and peroxides don’t sound so great to me. 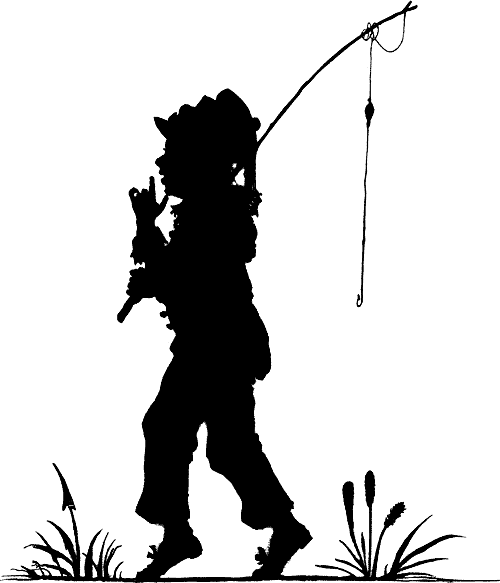 Lastly, a Spring-related tibdit of knowledge – flour used to be spelled flower. This fact automatically makes me think of this little guy. One of my childhood favorites.